Exclusive. 100 days a year. 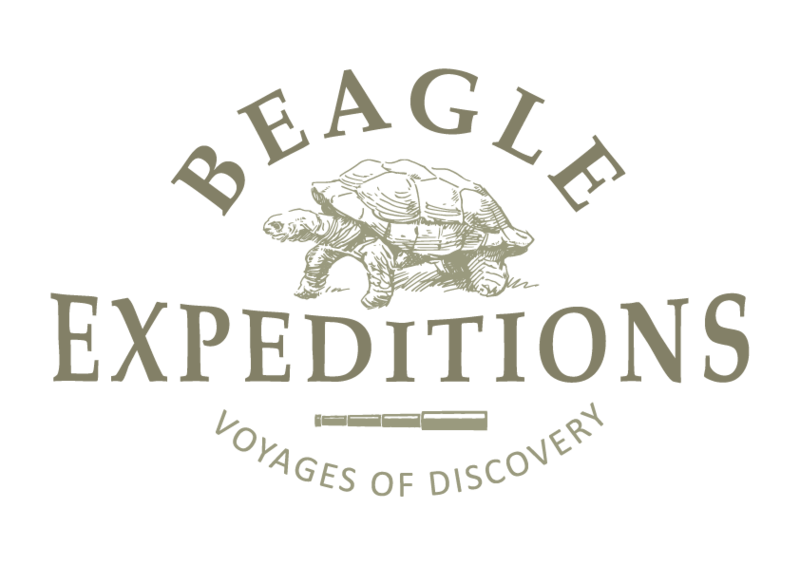 Beagle Expeditions is a small, intimate, family run business owned by Simon and Marleen Byron. 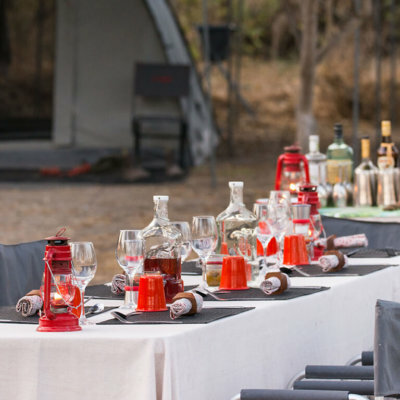 Together we have more than 25 years of experience in the safari industry in Botswana. 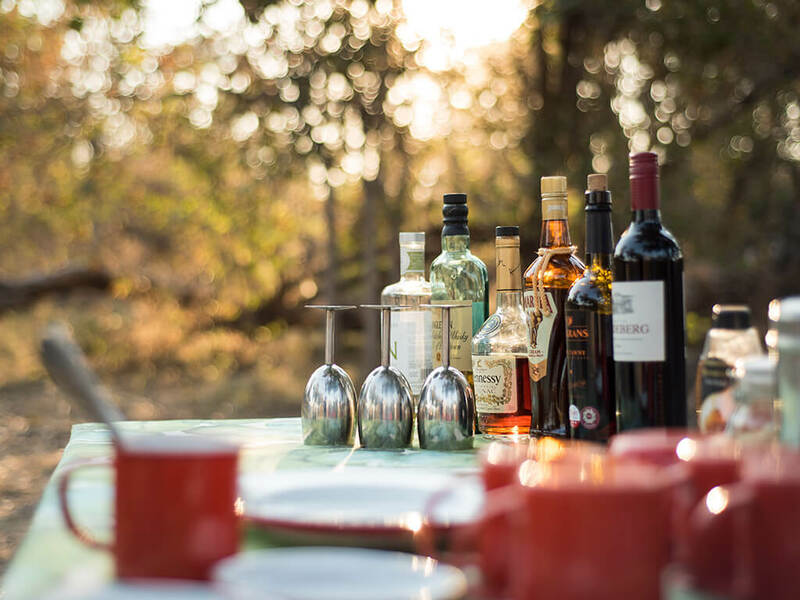 Through trial and error (and a few epic arguments) we have learnt our strengths and weaknesses within the industry; fortunately we have very opposite skill sets, putting Beagle Expeditions in a position to provide our guests with a phenomenal experience. We believe that the greatest luxury of all is experience! Our expeditions are true, limited exclusive travel; with an availability of only 100 days on expeditions a year (roughly ten expeditions). We do not do mass tourism and we do not have any set itineraries. 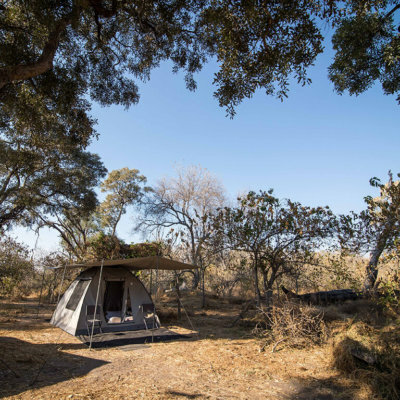 The places we explore are determined by the seasons, the amount and time of recent rain, the level of the Okavango flood and of course you! All of your travel planning and our expedition logistics are done by the boss, Marleen. All of our expeditions are lead by Simon.  Beagle Expeditions contributes BWP 200.00 per person, per night to our own registered trust, the Beagle Education Trust. This money goes to developing grass roots education projects in primary schools adjacent to our wildlife conservation areas. Our primary goal is to vastly improve the standard of written, read and spoken English that students graduate from primary schools with. 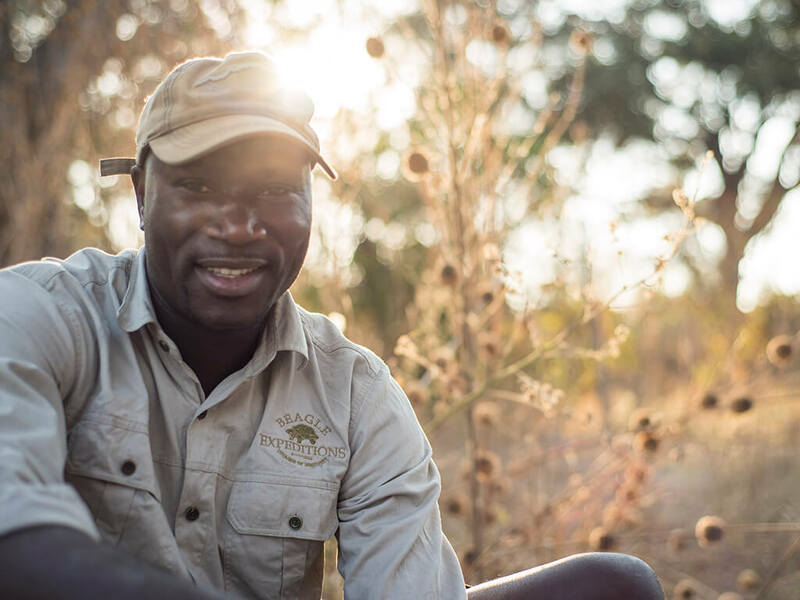 In addition, top performing students will be given bursaries to ensure they get a first class high school and tertiary education, ultimately developing a generation of well educated decision makers that will become the custodians of our amazing wildlife resources. It is our hope that guests will match this contribution and further our reach with this initiative. 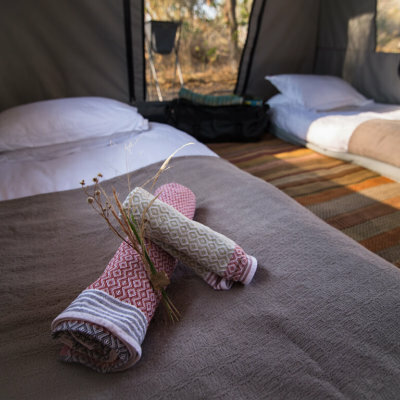 We have a great love for a mobile expedition: one continuous journey through the wilds of Africa with the continuity of your own private camp, private guide and staff; a very immersive and intimate experience. 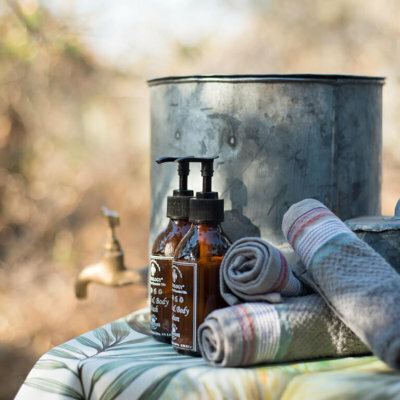 The fundamental concept of each expedition is experience: from sleeping on the ground in grand comfort and watching Africa pass by while you attend to your ablutions, to pausing to celebrate each sunrise and sunset with a suitable drink in hand, to a complete emulsion into one of Africa’s last fully functional ecosystems on foot, on boats, on mokoro and in our custom built expedition vehicles. 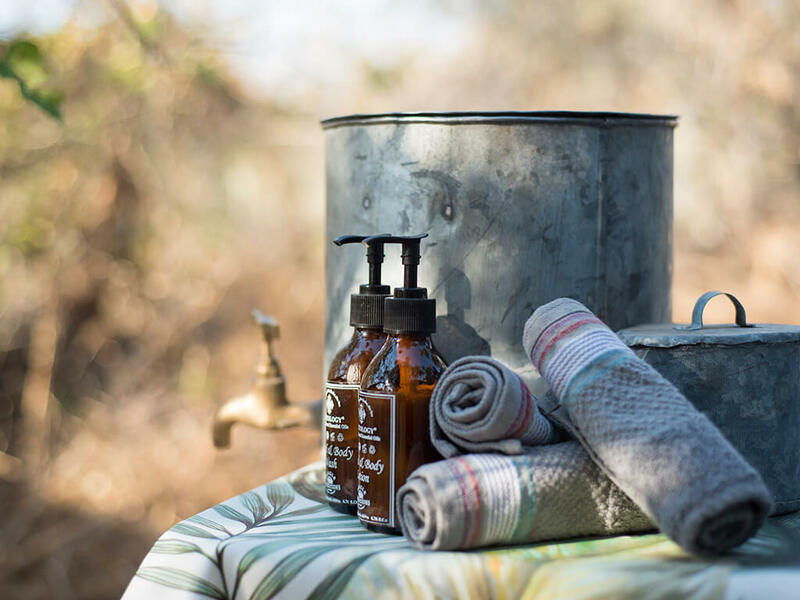 Driven by the urge to get off the beaten track and explore some of Botswana’s lesser know gems, we have designed a lightweight expedition style camp that does not jeopardize a few essentials of an exceptional safari: fabulously healthy and fresh food, ice for the perfect gin & tonic, a super comfy bedroll and hot water for a refreshing bucket shower. It will, however, bring you closer to nature and possibly even at eye level with a hyena!! 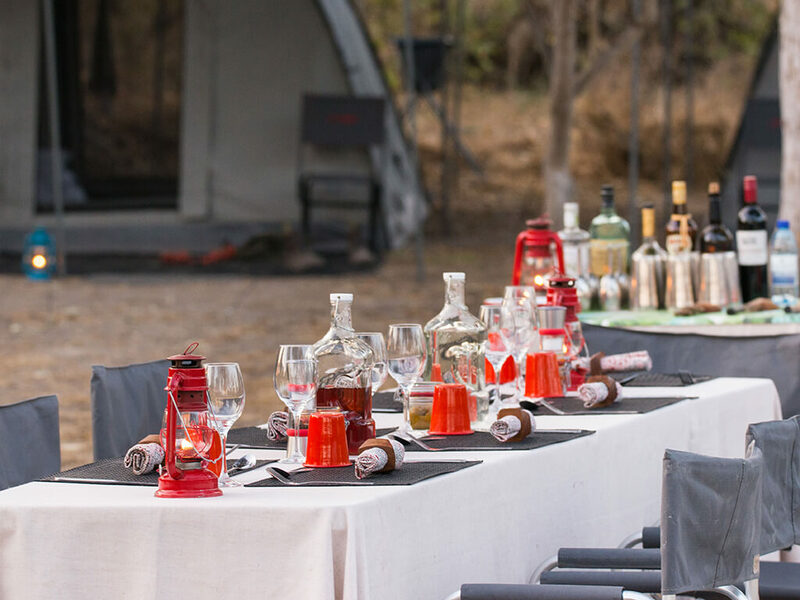 We have kept our camp simple, yet luxurious! 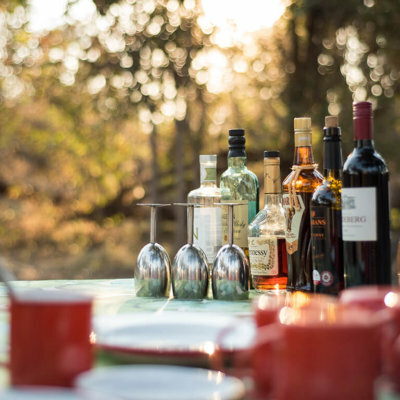 We call it simplistic luxury: though you are on an expedition, there are certain “luxuries” that we don’t need to trade off. 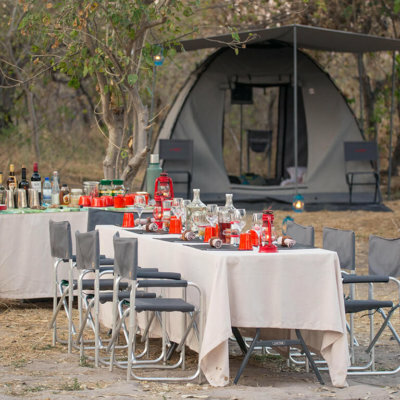 Our tents are spacious, 3m X 3m dome tents with ample lighting at night. 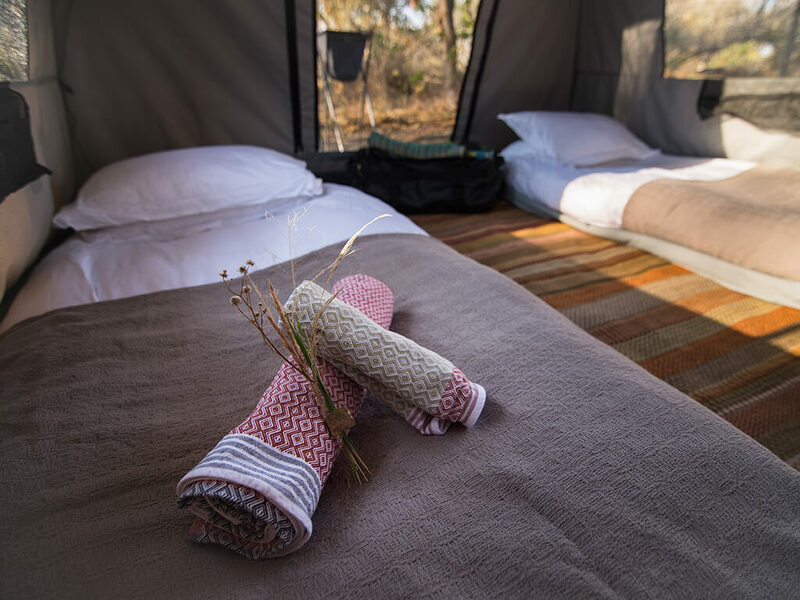 Our bedrolls, laid out on the ground and made up with fine Egyptian cotton linen, are super comfy and warm, to provide the best sleeping experience. 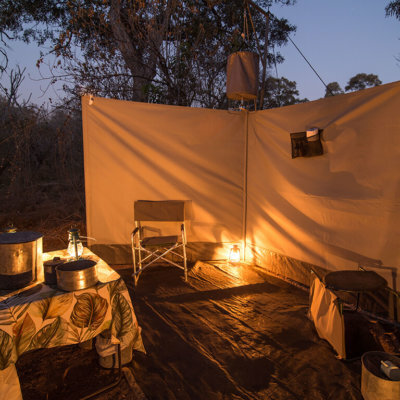 There is one ablution unit per 2 tents (4 guests), each with its own private bucket shower (for hot showers) and a loo with a view. 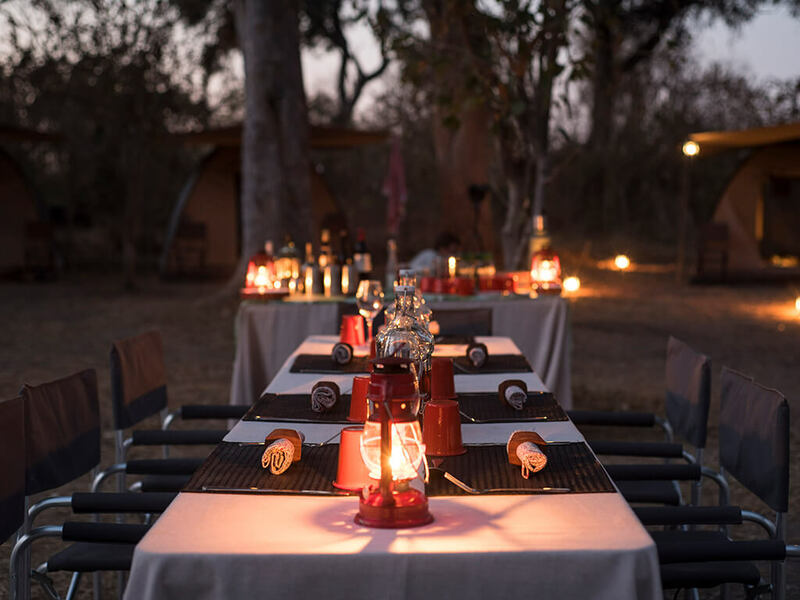 Our main area is simply a dining table, camp chairs, coffee and tea station, bar and of course a fire at night and in the early morning, all set up by the backup team under the African sky and open to the surrounding wilderness. 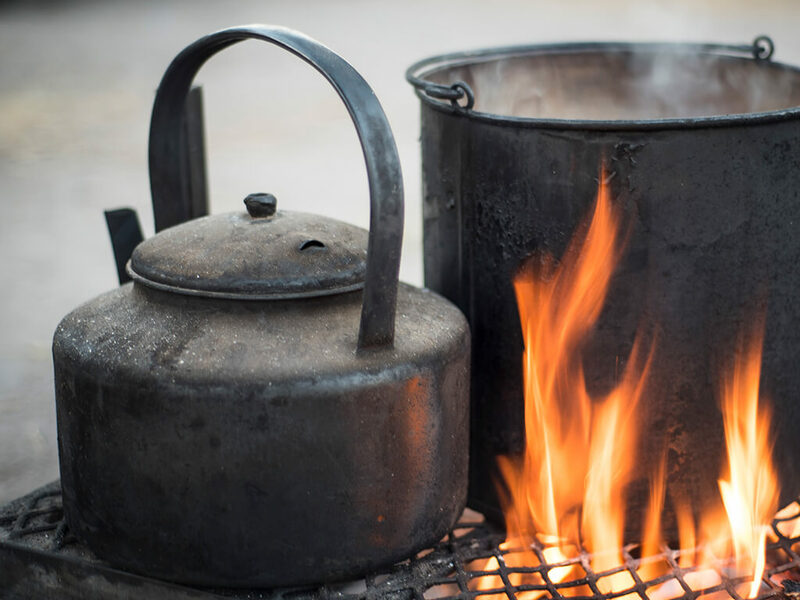 The key focus in the kitchen is on fresh, healthy food all cooked on an open fire. 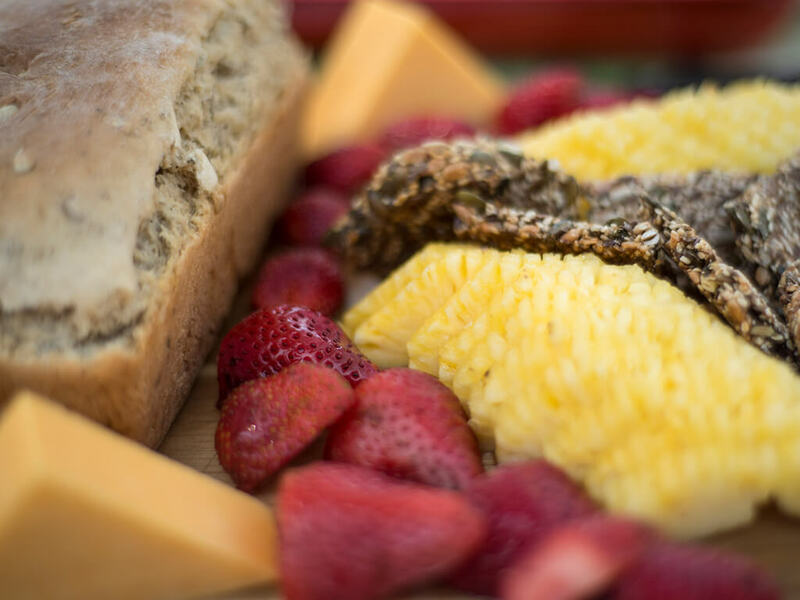 Our menu changes with the seasons and depends entirely on what is fresh and available in Maun. 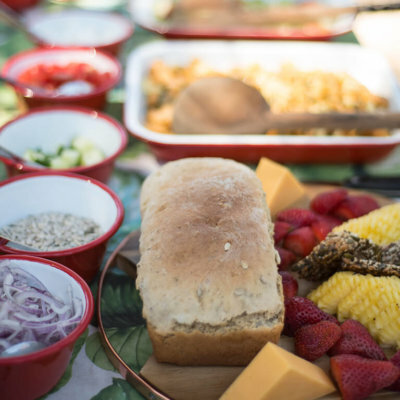 Our chefs are masters of their trade and thus there is emphasis on the culinary safari! 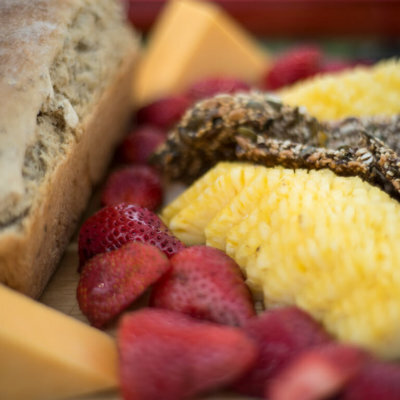 Great, healthy, classy and plentiful food; needless to say rounded off with some of South Africa’s top, handpicked wines! This is why you are coming to visit us after all! 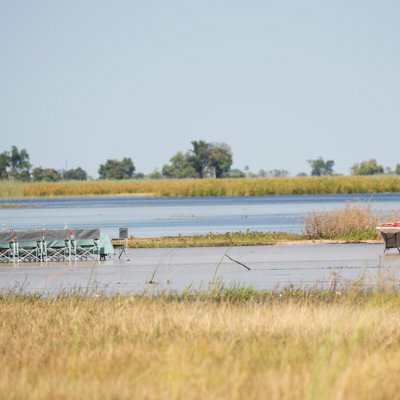 Northern Botswana (encompassing the Okavango Delta, the Kalahari and the Chobe region) is an extraordinary ecosystem. To gain a full understanding of the functioning of this diverse and dynamic paradise it is important to experience the different habitat types across the system. 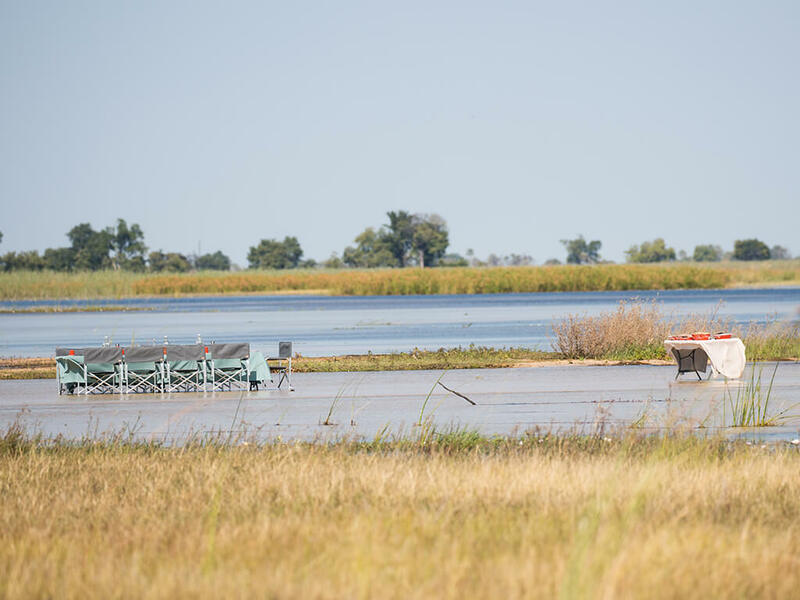 Boating is done primarily in the Okavango Delta along the Boro Channel system, an ancient and dying; yet major artery of the Okavango. 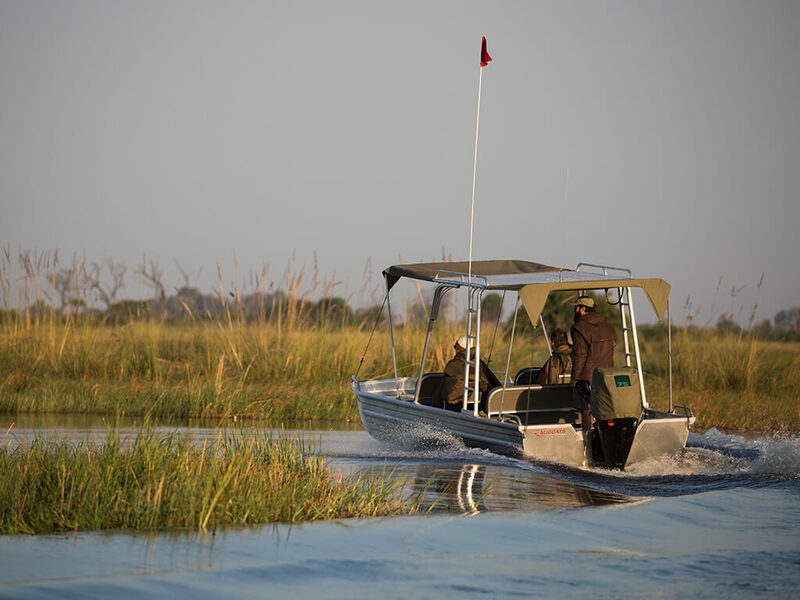 We explore in custom built aluminium boats, either for a few days into the central part of the Okavango Delta or if water is high enough we transect the entire Okavango. 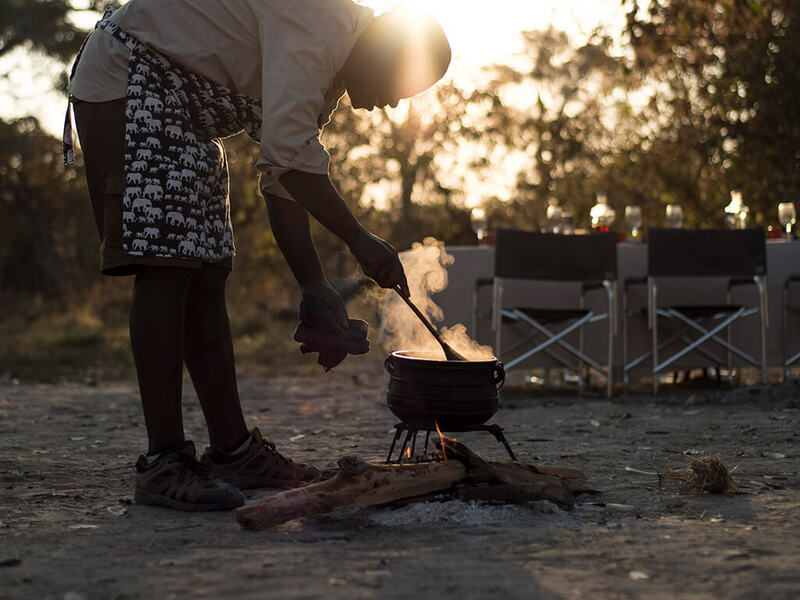 We will spend our time “up river” camping on islands adjacent to Chiefs Island, in the Moremi Game Reserve, exploring the islands and channels in the neighbourhood by boat and on foot. 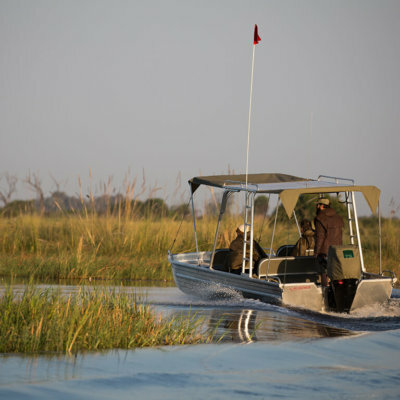 This is a unique experience and also a magnificent way to explore the more remote parts of the Okavango. 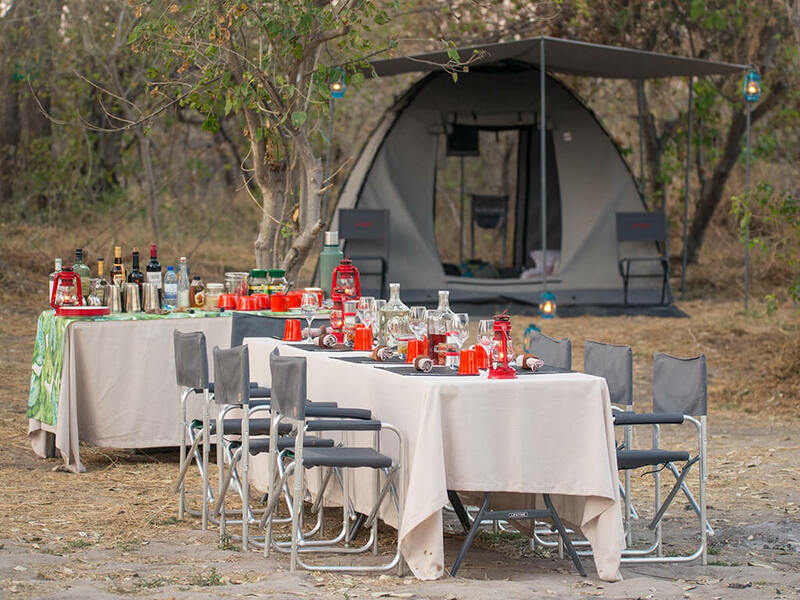 There will be time for a dip into the cool and astonishingly clean waters of the Okavango Delta, picnic lunches on islands, and time to soak it all in with your book, a hammock and a drink of your choice!! 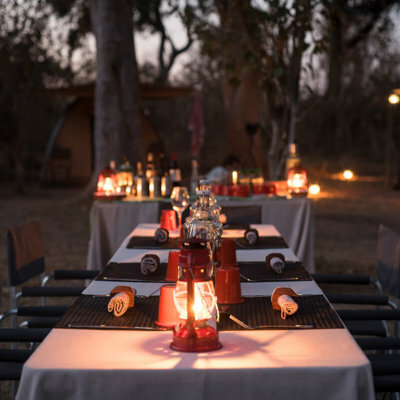 A more intimate and authentic safari experience you will not get elsewhere. 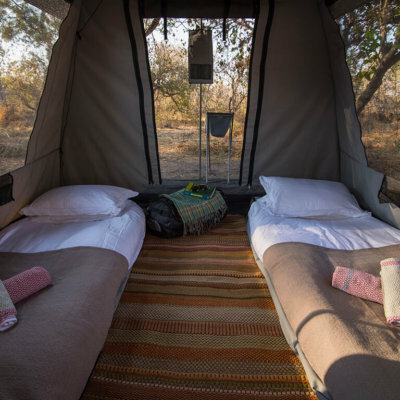 Mokoro expeditions are done either right across the Okavango Delta, taking up to three weeks, or as short interludes on an expedition to get into some very remote and wild places for a few nights. We combine a lot of walking with the mokoro expeditions and use the mekoro primarily to cross deep water between islands and to carry the camp. 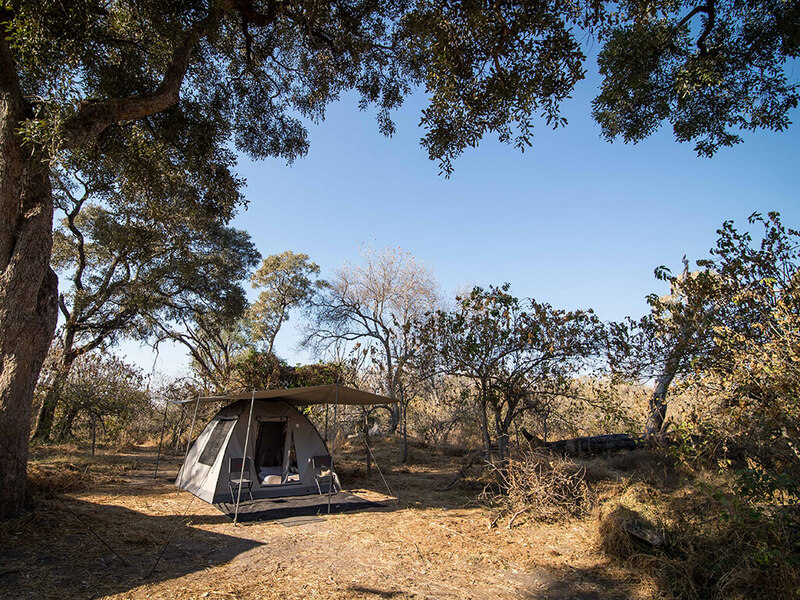 A true non-motorized expedition where the silence of each day transports you back to the romantic era of early African exploration. Walking is a primal experience! 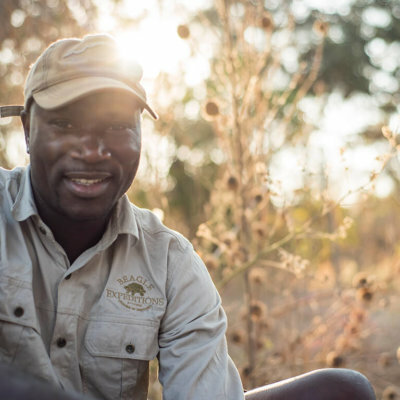 And yet it is also extremely informative, it is a time to fully experience, feel, touch, smell and hear the Okavango. 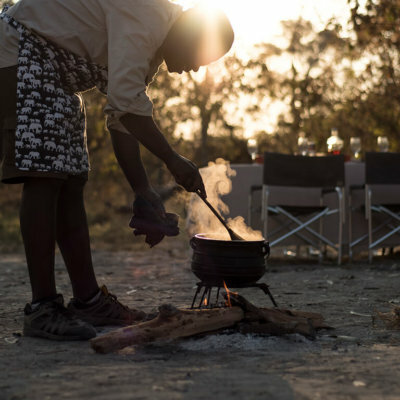 Walks can cover a few hundred meters over a few hours or go on for miles, it all depends entirely on your desire and of course what is happening out in the bush that day! 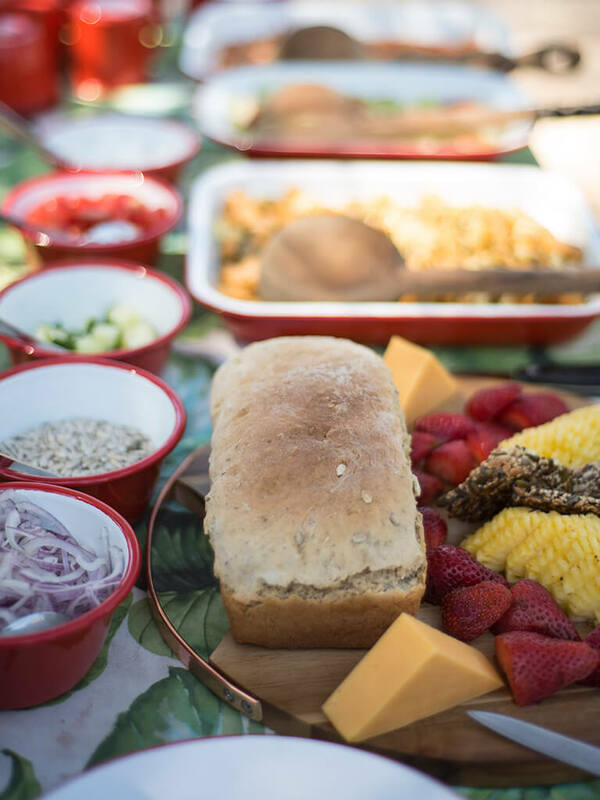 We carry a light snack and plenty of water to keep us going and hydrated. Game drives are conducted in custom built Toyota Land Cruisers. 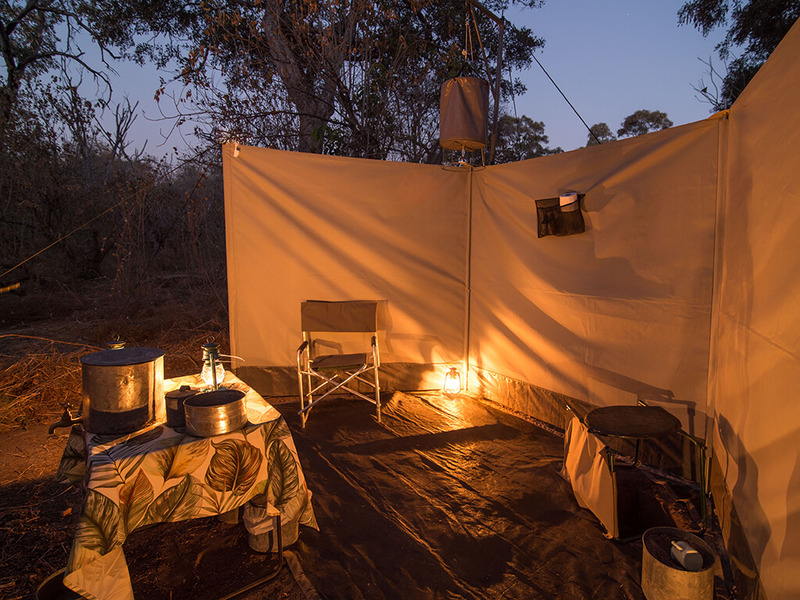 Ideally we are out of camp in the morning before the sun has broken the horizon; it is a fabulous time of the day! We will be out until we get back!! 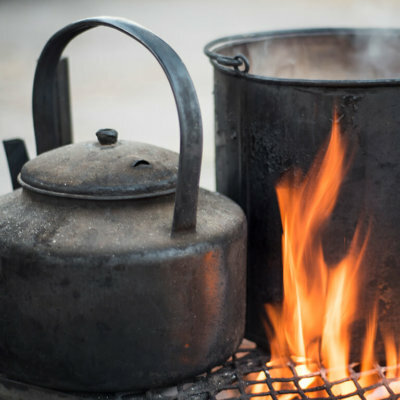 This can vary from late morning until late afternoon; it all depends on you and again what is happening out in the bush that day. 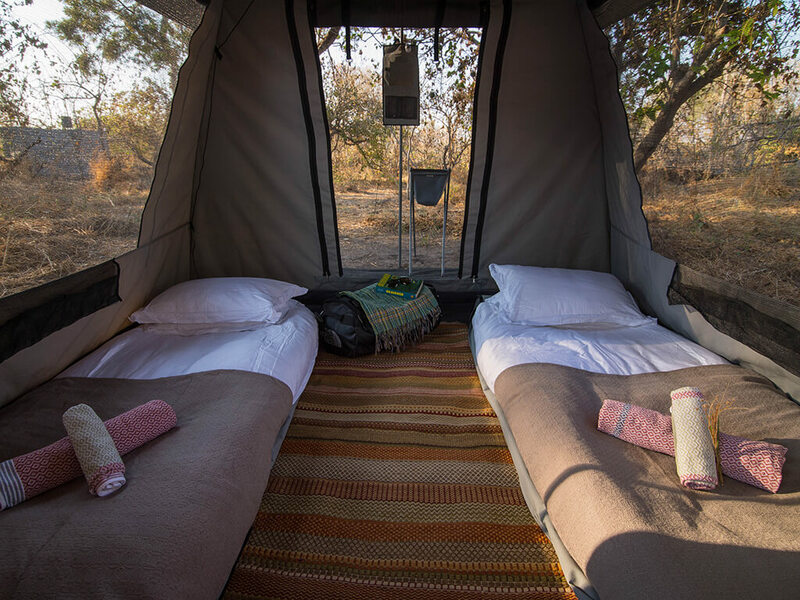 After a mid day siesta we will head back out on an afternoon game drive getting back into camp just before dusk.